Did you participate in a Voluntary Simplicity discussion course, but want to learn more about how it applies to parenting? NWEI would like to spread the word about this interesting workshop and lecture in February. Now is the time to take advantage of the Earlybird Special! Simplicity Parenting offers a clear and effective pathway to simplify four realms at home, which reduces stress on children and their parents, and allows room for connection, creativity and relaxation. 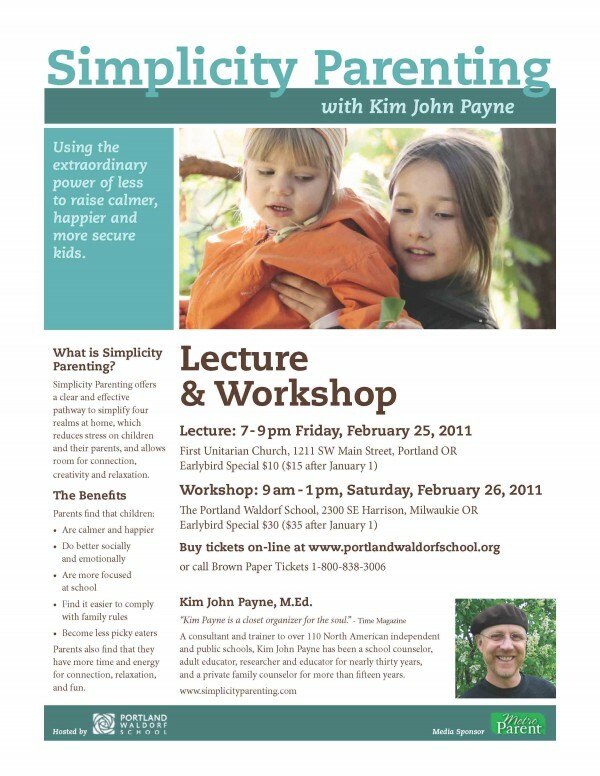 A consultant and trainer to over 110 North American independent and public schools, Kim John Payne has been a school counselor, adult educator, researcher and educator for nearly thirty years, and a private family counselor for more than fifteen years. The holiday season is upon us again. The holiday season is a two-sided coin for many people–on the one hand, there are family traditions we look forward to, favorite holiday songs that instill cheer every time we hear them, and fun parties and social events that are a time to share with friends and family. On the flip side of the coin, there is the pressure to bestow gifts upon friends and family, commercial pressures, busy stores and holiday crowds to contend with, and the inevitable holiday rush–it can be enough to make anyone question their holiday spirit at times. It doesn’t have to be this way though–we can opt out of commercialized, materialistic holidays and commit to a simplified holiday season. 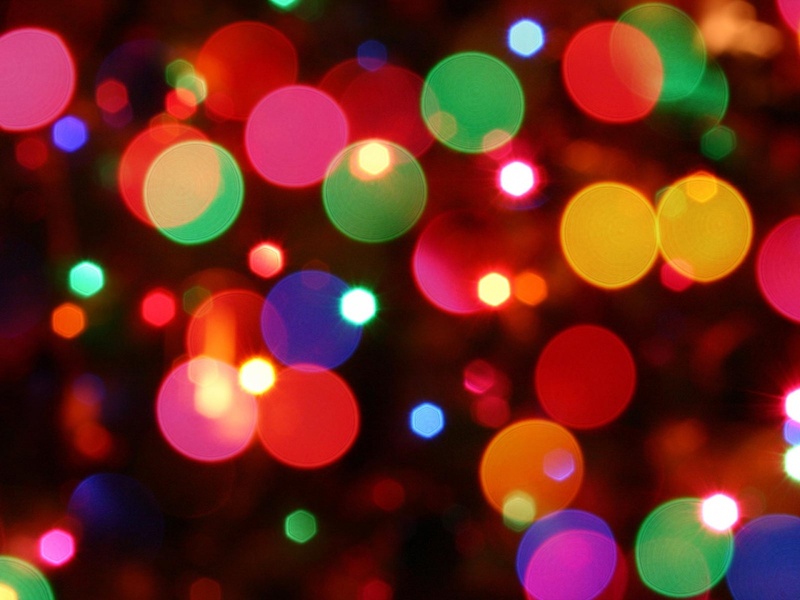 What would a simplified holiday season look like? Well, it will look a little different for everyone–but it doesn’t have to mean holidays devoid of gift-giving or tradition. There are many ways to instill some “voluntary simplicity” in your celebrations, and in the process take back some of your precious time, money and energy (not to mention lessening your impact on our environment). Consider giving homemade gifts–everything from canned goods to baked items to meals that can be easily frozen and cooked later make excellent gifts, and you can use the time you’re saving by avoiding the time-consuming shopping process to create your homemade presents. Some of our favorite homemade gift ideas include: family recipe books adorned with family photos, homemade jams and salsas, and homemade soaps and candles. Give gifts of time–if you have a skill to share, consider offering it as a gift to a friend or family member (perhaps create a little coupon book that can be wrapped); offer your babysitting, pet-sitting or house-sitting services; or help someone green their home by offering to help them set up a compost system or rain barrels. Experience gifts–instead of giving material gifts, consider giving your loved ones “experience gifts” like theater or concert tickets or an annual membership to a museum so that they can check out exhibits for the entire year. Restaurant gift certificates are another great idea too–perhaps treat your loved ones to a meal they’ll remember long after the holidays. Charitable gifts– many organizations (including NWEI) offer gift memberships, or the opportunity to donate in honor of a friend or family member. Consider making a donation to an organization as a gift for a loved one this year. If you’d like to learn more about voluntary simplicity check out NWEI’s Voluntary Simplicity program. For an entire book on simplifying the holidays (Christmas specifically but many of the suggestions can be carried over to other holidays too), check out Simplify Your Christmas by Elaine St. James. For info on simplifying the holidays with kids, check out this blog post from PBS. If you have ideas to share on how you have successfully simplified the holidays, we’d love to hear them! Add your suggestions to the comments, or join the discussion our our Facebook page.